This handy silicone tool set protects your cookware from scratches and makes clean up a breeze. 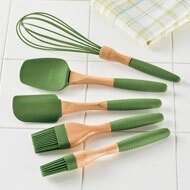 The set includes a whisk, a spatula, a spoon and two brushes. The nonstick silicone tools have beechwood handles with slipresistant grips. Dishwasher safe. Wood and silicone.  Whisk is 12 1/2"L x 3"W. Set of 5. 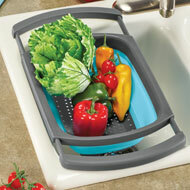 This roomy silicone colander expands to fit your sink and collapses for easy storage when not in use. The nonslip handles on the sides rest on the edges of your sink so you can rinse fruits and vegetables, drain pasta and more. Dishwasher safe and heat resistant. Plastic and rubber. Expands from 15 1/2"24"L x 10 1/2"W. Height adjusts from 1 3/4" to 4 3/4".